On May 30th, Bali celebrated the day of Galungan, which commemorates the triumph of Dharma over Adharma, or good against evil. During 10 days until Kuningan on June 9th, nice bamboo poles called “penjor” decorated with young coconut leaf line the street all over Bali. During this period, a lot of preparation should be done by the Balinese families such as temple decoration, offerings and also an important one which is food. 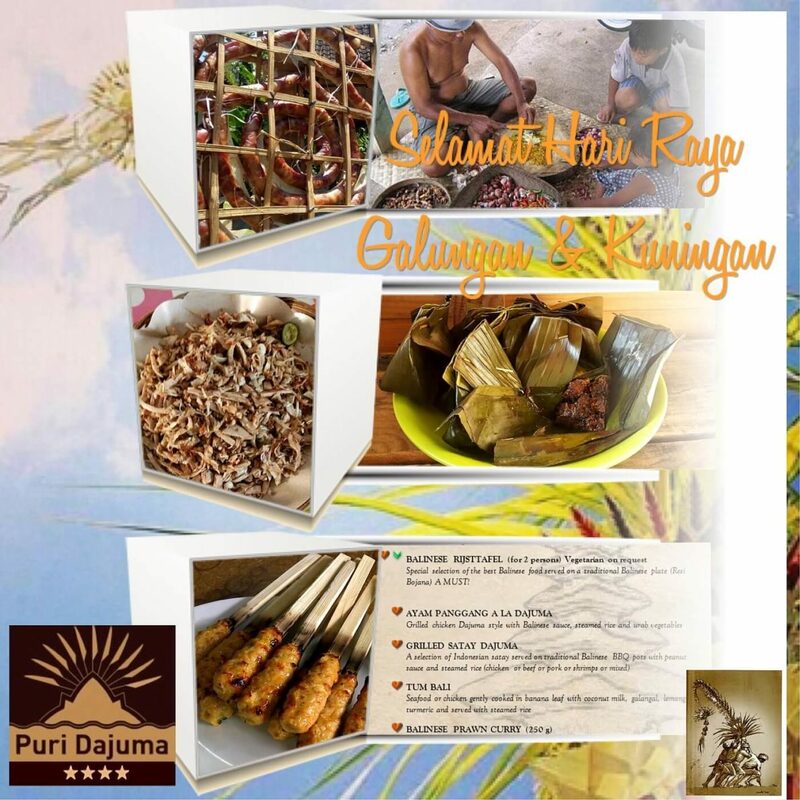 There are some mandatory dishes prepared by each and every family around Bali, for example the famous Tum Bali (chopped meat with Balinese seasoning cooked in banana leaf), Sate Lilit, Lawar (chopped meat mix with chopped vegetable) and Urutan (Traditional Balinese pork sausage). Every day our guests are invited to taste one of these delicious celebration meals in our restaurants. For you, who wants to know about the taste of the delicious Balinese food, we have our Balinese specialities menu in our Rama Restaurant that you can have anytime.